Littleton, Colorado, a small suburb of the Denver-Aurora Metropolitan Area, became widely known for the nearby Columbine school shootings which took place in April 1999. Some media had apparently reported the high school being located in Littleton due to a Littleton zip code, while in reality the school is situated in neighboring Jefferson County. This small municipality has a population of just over forty thousand, and seems a quiet and quaint city of Arapahoe County in Colorado. Littleton is home to the Colorado Center for the Blind and the Denver Theological Seminary. While it does not boast many attractions, Littleton offers all the amenities for its residents including the Arapahoe Community College, the Littleton History Museum, the Bemis Public library, the Littleton Police Department and an annual safety day, and even the annual summer "Kids Mini Fire Academy". The Centennial Golf Course, several parks such as Sterne Park and Bowels Grove Park, and the Douglas A. Buck Community Recreation Center offer plenty of opportunities for residents to remain active. Community events spark a sense of unity and family in this city, while the Littleton Museums fills moments with summer concerts, educational events, and even an annual craft fair. With its close proximity to Denver, Littleton is not too far to enjoy a day of tourist sight seeing and exciting adventures. State parks, golf courses, rock climbing, zoos and museums, historical landmarks and fair grounds, and more provide an adequate amount of sight seeing for this small suburb. 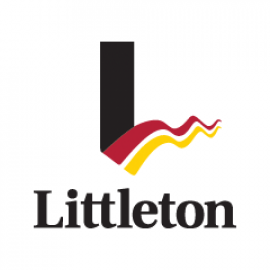 And Littleton is sure to excite you with all of the simple, quiet richness it has to offer. Join us for a cookout in honor of the continuation of Callan Gaerte to middle school and Emilia Gaerte to high school! Join the movement at the Southern Colorado Walk to Defeat ALS. Taking place on May 4th 2019 at America the Beautiful Park in Colorado Springs, CO at 10 AM.SIGN UP, RAISE FUNDS, HAVE FUN, AND WALK WITH US! We can’t wait for you to sign-up, it’s free!